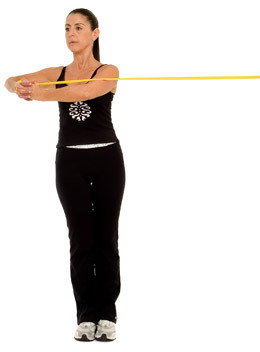 Start by standing sideways to the wall holding the bands to your side at chest level. 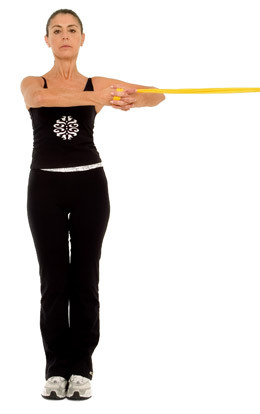 Proceed to pull the bands to the opposite side, keeping them at chest level. Resume the starting position. Repeat 10-20 times each side.